The Easter holidays are a great time to share (mostly chocolate) with your family and friends, but at some point you’ll need to get the kids out of the house and get them doing some exercise to help them burn off some of that chocolate! One of the best ways to do this is to arm yourself with some expertly-designed swim toys from our friends over at Zoggs to help make going to the swimming pool even more fun than it already is. You can pick these up at your local Everyone Active Swimming Pool, or direct from the Zoggs website. To help you out, we’ve taken a look at the products available and come up with the five best toys to help make those Easter holiday swim sessions even more enjoyable for everyone. One pack of these fun floating toys contains soakers in the shape of our three favourite characters. These are Zoggy the Seal, Cedric the Crab and Ozzy the Octopus. The characters initially can help kids get used to the feel of the water particularly on their face and arms. But once your child becomes more confident and is looking to gain a little independence, they are also great for a swim and retrieve game, where you increase the distance they must swim to retrieve the toy each time to gradually increase their confidence. 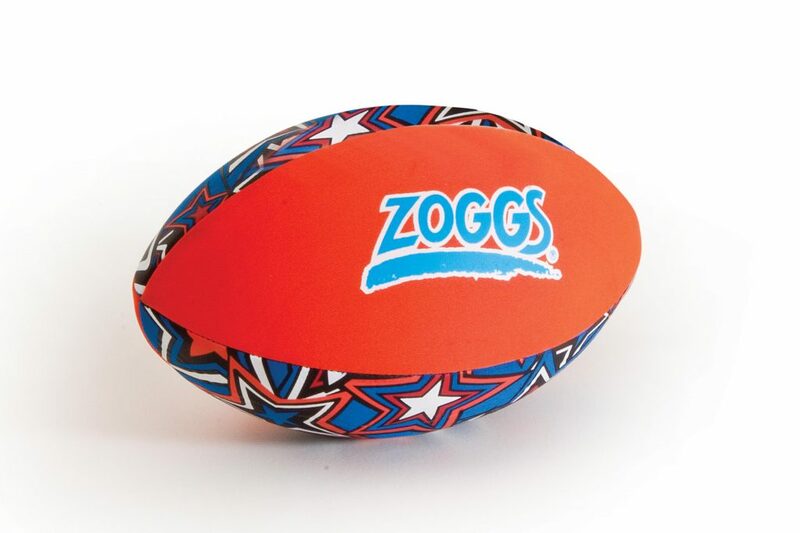 Get the kids feeling like superheroes this Easter with the Zoggs DC Super Heroes range. 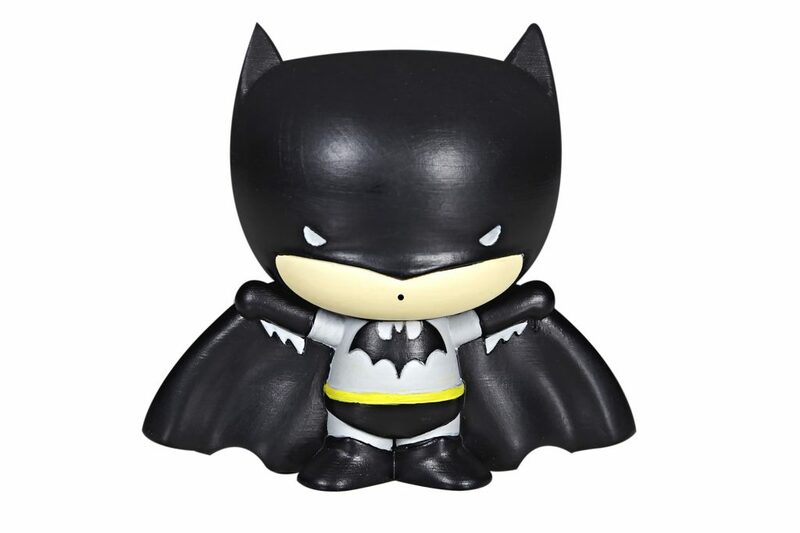 Featuring the characters Superman, Batman, Wonder Woman and Aquaman there is a superhero for everyone! These Splashems like the Soakers help little ones just starting out to get used to the feel of the water. Involve these in your pool time for a mini water fight or to build your child’s confidence through a swim and retrieve game. Which Superhero will you choose? 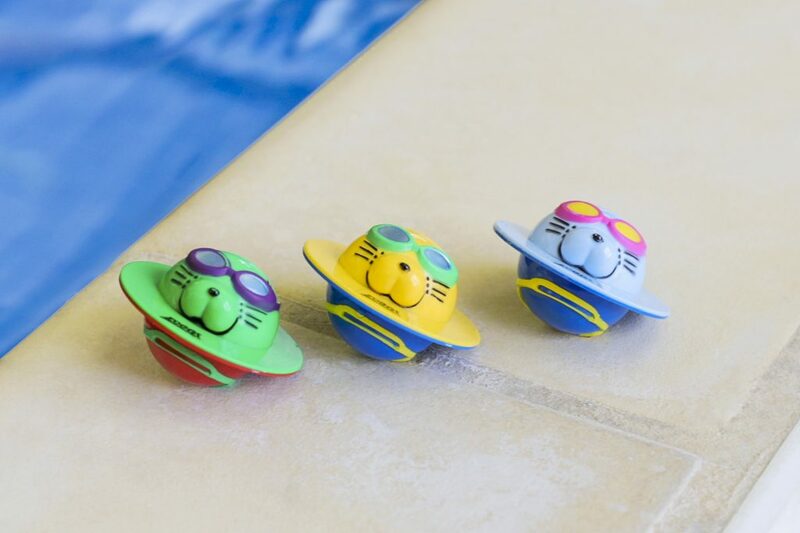 Once your child is properly confident in the water, Zoggs Seal Flips are a great game to play to help them practice their swim technique. By blowing the water in front of the seal, it will flip over this can help to encourage your little one to lower their head in the water and practice swimming safely underwater. Like the soakers, they can be used in a swim and retrieve game. But don’t stop there why not try a race – who can reach the other side of the pool with their Zoggy first? With five different designs available, you can get the whole family involved too. This is one for the whole family. The Aqua Ball ideal for hours of fun in and out of the pool over the Easter holidays or take it with you on vacation and have some fun on the beach. Play a game of catch with every successful catch you take a step away from each other and see how far you can get. There is never ending fun you can have at any age and ability. 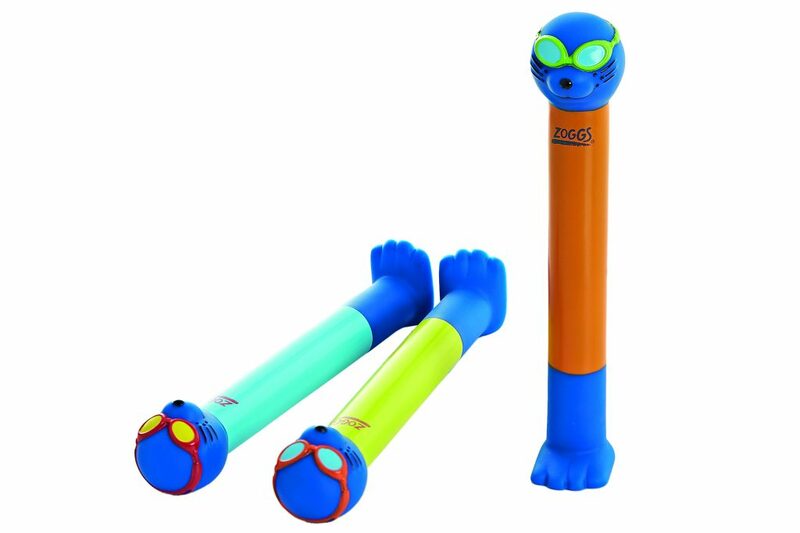 Zoggy Dive Sticks and Rings not only to help build kids’ confidence with swimming underwater, but there are some great games to enjoy as well. Whether you’re playing a swim and retrieve game, traffic light game (collecting the coloured sticks and rings in a certain order), or taking part in a team relay where Zoggy Dive Sticks can be used to identify the teams. These are great to get the whole family involved, however old they may be. These are definitely one of our favourites and we are sure they will be yours as well. Check out all of these products at your local Everyone Active Leisure Centres and drag those kids away from the Easter chocolate and jump in to make some memories with the family this Easter holidays!